derma e was founded in 1984 and the first products hit the shelf at a local health food store in California. In my opinion, it was genius to sell beauty products in a health store because it made people more conscious of what they were putting on their skin. It also gave the public healthier alternatives long before the skincare industry was even thinking about natural ingredients, eco-friendly or cruelty-free products. derma e takes pride in creating products rich in vitamins and botanicals for a natural approach to skin care. They were at the forefront of healthy, holistic, cruelty-free and eco-friendly skin care and they continue to be a leading brand in the industry. I think most people think of Whole Foods as the major source for derma e, however they are now expanding their reach!! As they continue to develop new products with same original goals, we will now have the option to purchase some of those products at Target. Ahhhh this makes my life so much easier because Target is more accessible for me. I shop at Target weekly for my household and beauty supplies so this will save me an extra trip to replenish my derma e products. I have been using derma e products for years. They are a brand that I trust 100% and I can count on them to contain natural ingredients. They are my go-to brand for battling the signs of aging and keeping my skin soft & healthy. 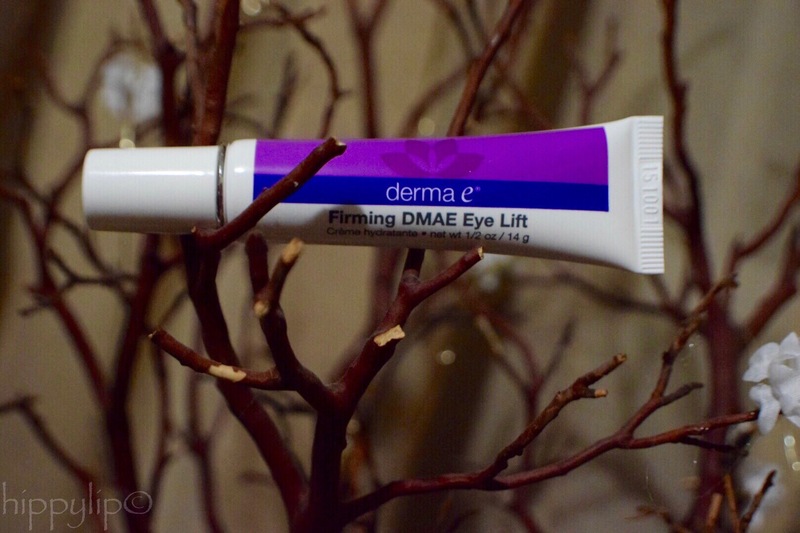 Packaging: Firming DMAE Eye Lift comes in a 0.5 ounce tube with a pointed tip. I prefer this packaging over the little pots. The pointed tip makes less of a mess and gives me more control over guiding the product. One little squeeze and you have the amount of product. My method has been to put a little dab on my finger and work into the eye area. Directions: Apply a pearl-size amount around the entire eye area. Gently pat. For best results use morning and night. I found that I use about half of the recommended amount and I have the same results. This tube will last longer than I initially thought. 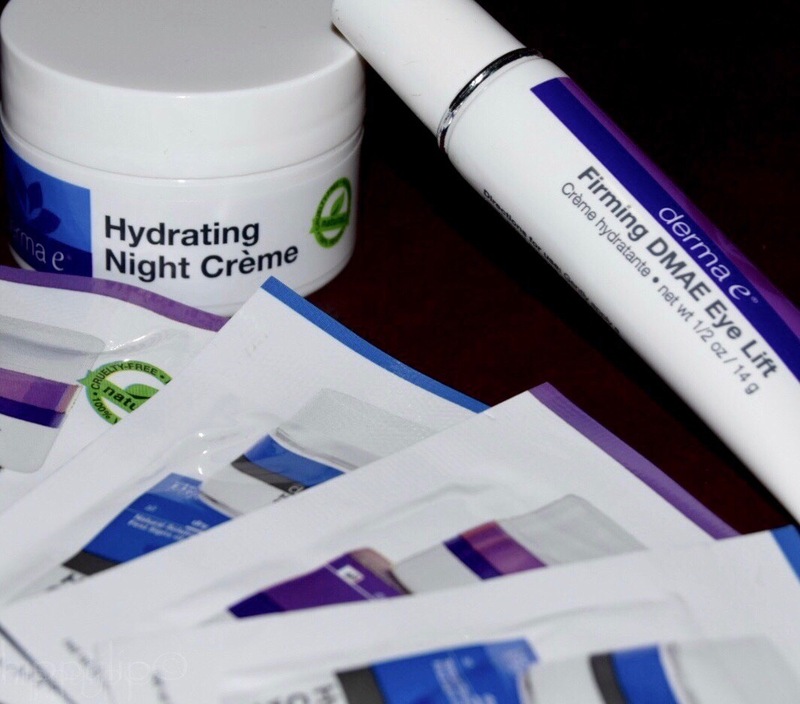 Texture: Firming DMAE Eye Lift is a very light-weight creamy texture with a mildly minty feel. Texture is very important to me, in an eye treatment, because I need it the most in the morning which means I also need a product that won’t interfere with my makeup application. DMAE glides on super smooth and after a few pats it sinks right in. It works really well with my liquid and powder foundations. The mildly minty feeling makes me feel awake….tired eyes are gone! Bottom Line: I have used this for 2 short weeks and on the first application I had immediate results with the puffiness and dark circles under my eyes, huge help in the morning!! The puffiness was gone and the dark circles diminished within a half hour. More recently I noticed that the skin around my eyes is more supple and the fine lines are starting to look less noticeable. I am curious to know if this is temporary or am I actually making permanent progress? This will remain as a staple in my skin care routine. I have always been a derma e fan but I had reservations because a good budget-friendly eye cream is a rare find. Finders=Keepers and this one is definitely a keeper! I also have two more products that deserve an honorable mention. I am a long-time user of derma e’s Microdermabrasion scrub because it’s perfect for sensitive skin and leaves me with a clean, bright, and smooth face. It’s minty and I absolutely love it!! The second product is their Age-Defying Antioxidant Night Cream. 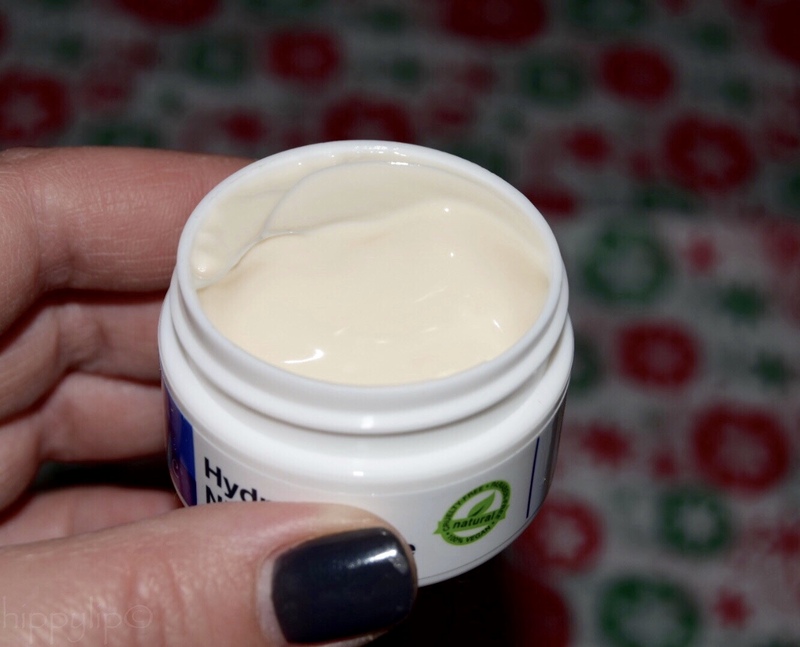 This moisturizer is not too dense, it’s just the perfect texture for me. There is no greasiness or residue because my skin just eats this right up. It’s smells amazing!!! Most importantly it’s not as heavy as some night creams but it still manages to get the job done. It has kept my flaky/peeling winter skin in check. derma e has a full line of natural head to toe skin care to keep your skin healthy. You can literally find a product for any skin issue you may have. 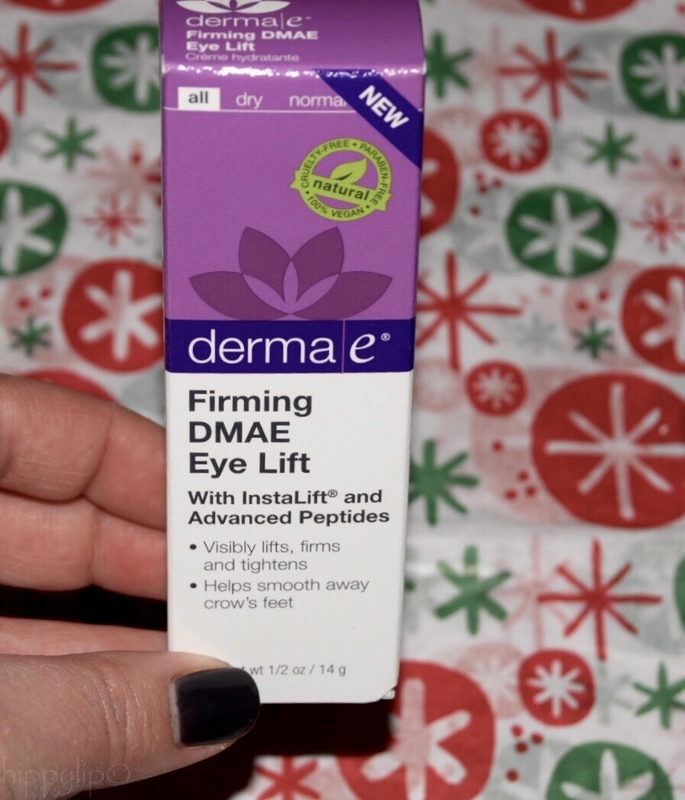 You can purchase derma e’s Firming DMAE Eye Lifting Cream for $19.95 right here. Disclosure: I received this product free in exchange for my honest review. This review is 100% honest and my own. 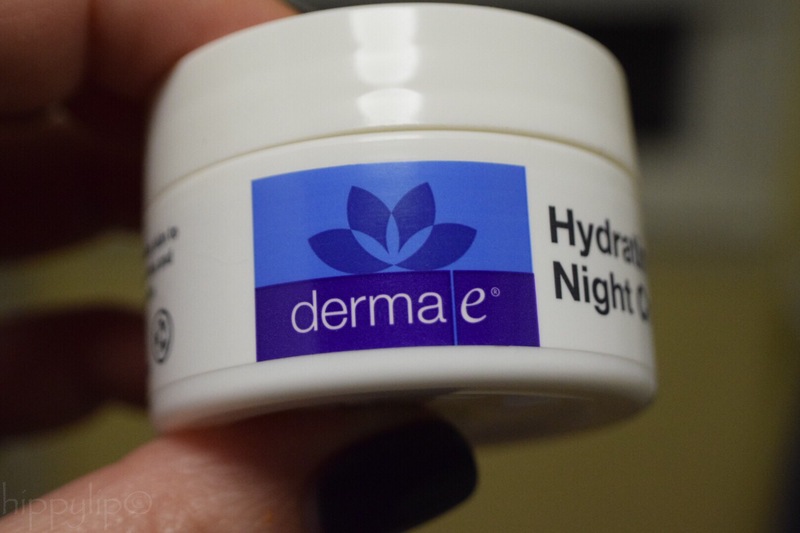 Have any of you used any other derma e products? Next One Love Cleansing Sponge Review & GIVEAWAY! I really need to try this! I haven’t found a product yet that lightens my dark circles. Thanks for reading. My dark circles come and go. They aren’t constant but on the days I do have them this really makes a difference. You should give it a try. If you do please let me know what you think. Thanks Cat!!! The scrubs look devine and I tried the peppermint……..AAAAMAZING!! !